We are glad to have had the opportunity to exhibit at the RSPA Show in Las Vegas last month. We showcased the Casio V-R200 and V-R7000/7100 with our Multiplan transaction management software. Thanks to Casio for featuring ITC Systems on your September newsletter. This month we want to highlight a company, ITC Systems, which participated with Casio at the RSPA Show and a dealer install with the V-R7000. ITC Systems has been highlighted a couple of times in this newsletter over the past few years. They offer a unique opportunity for Casio dealers selling the V-R products to get their foot in the door at college campuses, corporate cafeterias, hospitals and smaller business cafeterias. ITC Systems (Integrated Transaction Control) specializes in cashless integrated transaction control systems. 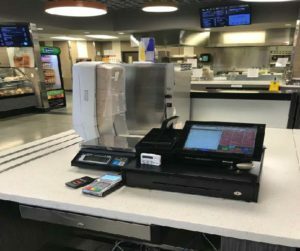 ITC designs, develops and implements state-of-the-art cash card management systems on university campuses, in academic and public libraries, government departments, food service environments and other closed institutional settings. Casio has interfaced the V-R200 and V-R7000/7100 to ITC’s Multiplan transaction management software. The Multiplan back office software is a seamless interface to account based funds that are updates through purchases made on POS terminals. The Multiplan software is server (internal or remote) based that the V-R terminals communicate to through a high speed connection. Multiplan software integrates with employee/student databases to create accounts. These accounts can be meal plans (pre-paid accounts to be used in schools) or payroll deductions (corporate cafeterias). To access these accounts through the V-R terminals employee/student cards can be swiped (magnetic), scanned (keyboard wedge scanner), RFID or the number entered manually during a transaction. The V-R will pass the account number and transaction total through the Ethernet port to the Multiplan to verify and update the account balance. Multiplan will return an updated balance total, the plan name the account accessed and a transaction ID to identify that particular transaction. Multiplan has web-based modules for remote system management and remote account management. Clients can view their balances, manage their accounts and add value with a credit card on the web. 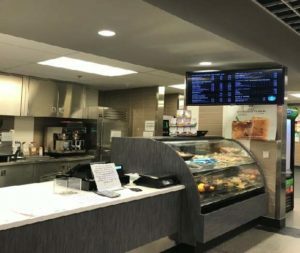 The most recent install was made in Las Vegas at the Nevada State College’s cafeteria. The install includes two (2) V-R200’s, with CAS scales and Datacap for any payments not using the student ID card ITC system.